Dirk Kuyt’s early headed goal started the scoring before a second half Gerrard header sealed another good Liverpool victory. Liverpool played solidly first half – knocking the ball around well and stretching Bolton all over the field. 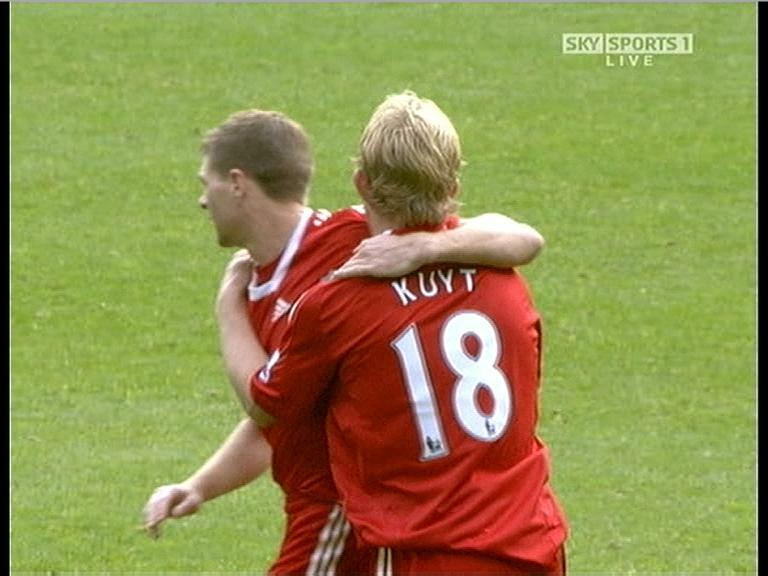 It was Kuyt who went closest early on with a fine shot hitting the crossbar. Riera was getting a lot of the ball on the wing and after a couple of attempts himself he finally got in the perfect cross which Dirk Kuyt headed home. 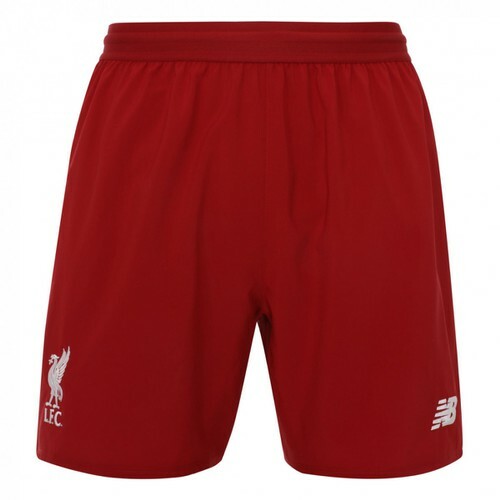 It was a great goal, and moved him to top of Liverpool’s goalscoring chart this season. Within minutes Robbie Keane should have doubled the lead when he only had to tap in from 4 yards out. He fluffed at the chance and Bolton were thrown a lifeline. In injury time in the first half Bolton had a headed goal disallowed after Kevin Nolan blocked Reina from jumping for the ball. The second half opened up with Bolton starting the quickest. They had a great chance to score but a poor finish saw the ball go for a goal kick. In the chase to get back Daniel Agger clattered in to the post, his knee hitting himself in the mouth and dislodging a tooth – which he promptly handed to the club doctor before continuing. In the 59th minute Keane was replaced by Torres, and almost immediately Torres set up Gerrard – only for him to miss a similar chance to Keane’s in the first half – from about 4 yards out. The reds should have put this game to bed but still the one-goal margin remained. With just under 20 minutes left though, Torres easily took the ball back off the Bolton defence and played a perfect cross in for Gerrard to head home and for Gerrard to match Kuyt back at the top-scorers list. The game petered out as Liverpool cruised to their 10th win in 13 Premiership matches this season and go back to the top of the Premiership, at least for now. “We worked really hard and played really, really well in the first half. We were under pressure in the second because they were pushing and being more physical. But the question was to finish the game with a second goal and we did. “It could have been more but a 2-0 win away to Bolton, who have been doing well in the last two games, is good. “Clearly he is playing well. “He played really well in his first year too. Okay, now he has more confidence and the players around him are maybe better too, like Gerrard and Javier Mascherano. “There is a rule that says the six-yard box is for the ‘keeper, so if you have three players around the ‘keeper and he cannot get to the ball, it’s obstruction and it’s an indirect free-kick. It’s very clear that these are the rules. Liverpool Possession: 58%. Shots: 18 (On target = 4). 400 accurate passes. 61 bad passes. Bolton Possession: 42% Shots: 17 (On target = 6). 227 accurate passes. 40 bad passes. Thought we played well – could and probably should have had far more to make it comfortable. Hope the Dagger gets his tooth sorted! He really is filling Skrtel’s boots! Torres looked lively when he came on and Xabi, again, was magnficent. Top of the league. Don’t expect much from West Brom but we can live in hope they do us a favour.